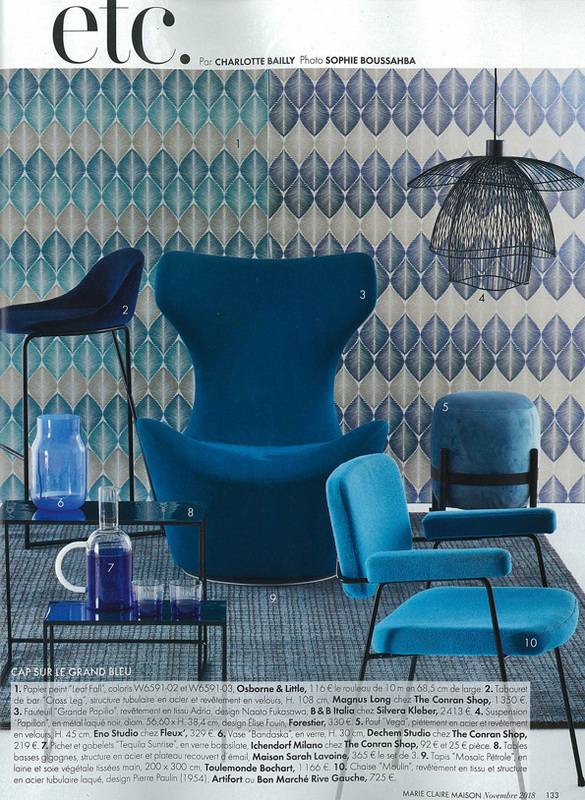 Leaf fall from the Verdanta wallpapers collection by Osborne & Little featured in Marie Claire Maison France October 2018. 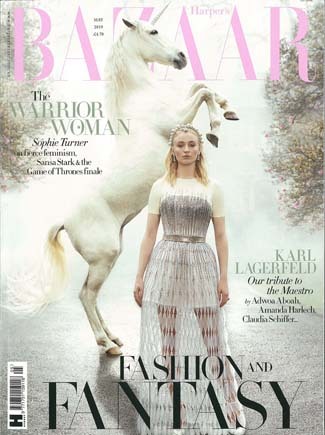 Nina Campbell and Osborne Little's fantastical florals and prodigious prints featured in the May issue of Harper's Bazaar. 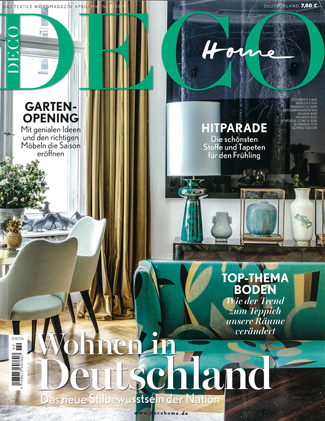 Green Wall and Tiger Leaf wallpaper by Osborne & Little featured in the April issue of Deco Home Germany 2019. 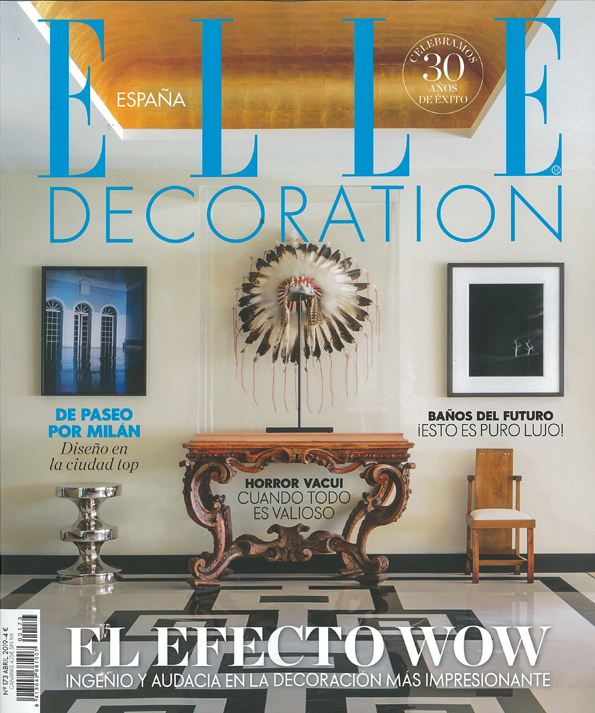 Motown by Margo Selby for Osborne & Little featured in Elle Decoration Spain April 2019. 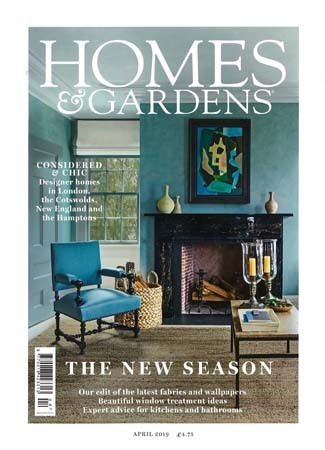 Faenza Tile wallpaper by Osborne & Little featured in Homes & Gardens April 2019.